High End Makeup – Expectation EXCEEDED! As a dabbler in beauty and makeup, I have recently upgraded my makeup shopping venues from CVS, Walgreens, and Wal-Mart to Ulta and Sephora. This transition has been a learning experience. When I’ve done my makeup shopping at drugstores, I’ve been unbothered and left to my own devices. When I was possibly making a bad decision, there was no one to steer me in the right direction. I have made many horrible decisions at the drugstore such as buying a foundation 5 shades too dark for my skin and investing in a hot orange lipgloss I thought I could pull off. Even though the drugstore makeup is vastly cheaper than it’s counterpart it has it’s downfalls. There have been several times that I have bought makeup products that were used by some scumbag before me and I didn’t notice it until I arrive home. Those who do this should be shot on sight. With my frustration surmounting and my makeup tastes becoming more evolved, I ventured into Sephora one day. It’s not like I haven’t been into a Sephora before with friends while they bought makeup but this time was different. I was going to buy makeup. My mission was a foundation that matched me. 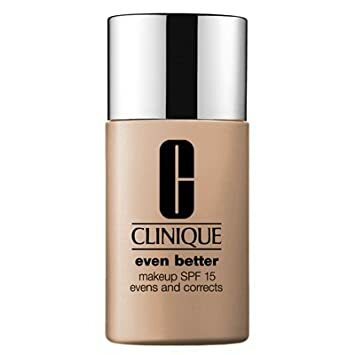 I was color matched and purchased my first “high-end” foundation. Some could definitely argue with me on the term “high-end” because it’s definitely on the lower end of the high end makeup but I was elated. I finally understood my skin tone and now knew how figure out my foundation shade. It changed my view of makeup and how shopping for makeup could be so much more enjoyable than choosing something from a poorly lit aisle in Wal-Mart and hoping for the best. This led to venturing more and more into the world of high-end makeup and understanding all it had to offer. Don’t get me wrong, I love putzing around walgreens and finding new products but most of purchased are researched before buying now. I have in turn saved my self a lot deniro by being an educated consumer. It seems like a simple concept but it took me too long. I always researched all of my other purchases. When I bought my cameras, I search Amazon high and low for reviews, why wouldn’t I do the same for what I’m putting on my face. One would think more so right?! One of the pros of shopping at a makeup counter or other high end makeup stores are the really well informed employees that employ. Most are makeup artist themselves so its their job to understand my skin and it’s needs. Recently, I bought a make-up remover from Clinique. I had done my research and was happy with my choice. I headed to the counter and they were out of what I wanted so I instructed that it’s cousin product was just as good. I bought it headed home and was not pleased. After using the products several times (I had to give it a few trys since I spent almost $30 on it), I was deflated. I spent a lot of money on this flop of a product and I wasn’t happy. It took me almost a month of moping around sadden that I was stuck with a product until I decided to do some research and see if there was something I could do. Sephora and Ulta have great return policies why wouldn’t Clinique. When I got to the website, I saw something miraculous! I skipped my way back to Clinique counter and returned my bad decision and picked up a new facial cleanser. I still haven’t been able to find the product I originally wanted (I’m probably going to order it online). It wasn’t until now that I realized the true reason why high-end makeup is more expensive. It comes with all these benefits of returning products you may not love, a team of makeup artists that help when needed, and the quality of the product is 1000% better than their drugstore counterparts. In other but related news, the clinique lady complemented me on my makeup!!!! =D It’s the small things! England was great. The head cold that followed…not so much.